Essential oils have been used for centuries. Their history can be traced back to as early 4500 BC, and they have been used throughout China, India, Greece, Rome, Persia, and Europe. 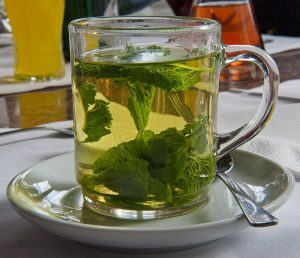 We also know that ingesting certain plants can have medicinal effects (caffeine for example). Their use and benefits have been known for thousands of years. It’s time we started taking advantage of them in our homes and at work. I’m going to run you through 5 essential oils for work to improve concentration and productivity. Related: What is the Best Diffuser for Essential Oils? 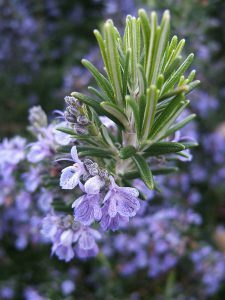 Rosemary is one of the most popular essential oils for work. It’s very well connected with improving energy and motivation. It’s easily the most widely used essential oil in office spaces. If companies are aware of its benefits than us, freelancers should be as well. Somes studies even say that rosemary can improve memory by up to 75 %. For me, as a translator, a bit more memory certainly wouldn’t hurt! Lastly, rosemary is also connected with punctuality and getting things done on time. This is probably a secondary benefit of motivation and wakefulness but being a bit more punctual wouldn’t hurt anybody. I think cinnamon might be my favorite smell in the world. It always seems to bring me back to Christmas time, with snow on the ground and family all around. 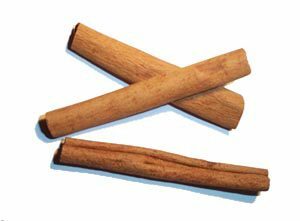 Whenever I smell cinnamon, makes me feel comfortable, confident and dramatically reduces my anxiety. It has also been linked to combat mental fatigue and improve concentration. Cinnamon is easily one of my favorite essential oils for work or really any time of the day. It’s even been connected with lowering blood pressure and blood cholesterol. There’s nothing better than walking into my apartment and getting a massive whiff of cinnamon! If you’ve ever had peppermint candies, you know that definitely clear up your sinuses and help you to think and breath better. This essential oil has been linked to boosting energy and improved motivation. Perfect when you need a quick pick me up either in the middle of the day or right before that big meeting. As I said before, it will clear you up and help you think straighter. Use a few drops on your diffuser whenever you’re brainstorming and thinking of new ideas. Who know’s what will come from a clear mind! 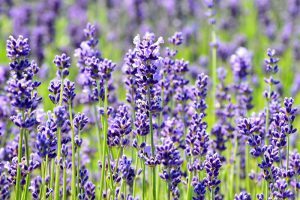 Lavender is known for its calming presence, which is necessary for any work environment! It is reported to relieve stress and reduce anxiety. As a Freelancer, if you’re not stressed or anxious, please, tell me your secrets! All it takes is two or three drops of this essential oil in your diffuser, and you’ll find yourself better able to focus on the task at hand. For me, there’s something enhancing about this smell. I can recall it without even trying. I can see the trees, feel the breeze, and hear the birds. This oil is linked with increasing confidence. It’s perfect for that middle of the day slump right after lunch when you’re just not feeling it. It could also be perfect right after you wake up in the morning. It’s linked to improving wakefulness and focus. 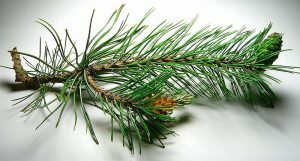 Two drops of pine oil, a cup of coffee and your day won’t stand a chance! Plants have benefits that we can’t even imagine. They’ve been used from the mountains of Tibet to sub-Saharan Africa for millennia to improve energy, focus, and concentration. Why should we stop now? The competition between Freelancers competition is only going to increase as more and more people decide to take the plunge. We need to provide quality and timely work for our client, or they’ll look elsewhere. Grab a competitive edge with any one of these essential oils for work and see what they can do for you. Being a freelancer is about taking care of yourself, personally and professionally, getting a few essential oils for work is a step in the right direction. You could also head on over to 10 Ways to Manage Stress Levels – How to not go off the deep end to get some more helpful tips stress-reduction tips. I really like what you have done here. You are targeting a group of working people that must concentrate, work hard and get things done on time. Much like WA actually. You treatment of the essential oils is fascinating. I thing the information is good for all of us. I am sure that anyone reading this will be thankful and better educated because of it. Are you providing links to obtain some of these oils or did I somehow miss them? Urpower Essential oil diffuser – you might like the look is this diffuser a bit more. It comes in a few colors as well depending on how your office is decorated. If you have any questions about how to use them or anything I write about please, let me know and I’d be happy to answer them. This post was right on time for me. I had purchased some essential oils in the past and got so busy I stopped using them. I want to go back to using them. You reminded me about all the reasons why I wanted to use them in the first place. I want to have good memory and feel energized. I hope the diffuser I have been using is good. Do you recommend any specific diffuser? Thank you so much! I’m glad you’re getting back in the spirit of using essential oils. Their benefits are undeniable and you won’t regret it. The diffuser I have is the URPOWER Essential Oil Diffuser It comes in a few different colors as well now, depending on the design of your home office. If you don’t like that one then I’ve heard great things about the VicTsing Ultrasonic diffuser depending on the size of your office/home it come in either 300 or 150ml. Hope that helps and thank you for stopping by! Let me know if you have any other questions! oh I love this article. As someone who works from home I know the importance of having a work station that is well set up and conducive for being productive. I have been thinking of essential oils and this is a great resource. Will be trying these out to boost productivity! Thanks for stopping by! Essential oils are a wonder especially if used correctly! Most diffusers actually break down essential oils so you don’t get the natural benefits of them. 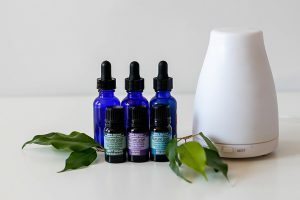 Take a look at my article: The Best Diffuser For Essential Oils to find out what type of diffuser you should look for, and my recommendation as to why. If you have any questions please, don’t hesitate to ask!